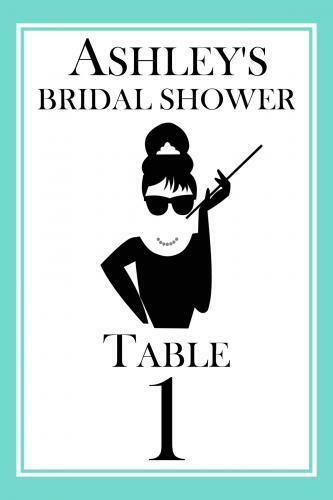 Guests will know they are in store for a lively, fun celebration when they see these Breakfast At Tiffany's table numbers! A very stylish way to lead guests to their tables, our Tiffany inspired table numbers feature the same image on both sides. They measure 4" wide and 6" tall.